So far, it was reported that Ali Asgar, Sugandha Mishra, Dr Sanket Bhosle and Sudesh Lahri will be seen on Krushna Abhishek's 'The Drama Company'. Ever since Krushna Abhishek has announced his new show in competition to 'The Kapil Sharma Show', this new comedy drama has become the talk of the town. According to the media reports, Krushna Abhishek's new show will titled as 'The Drama Company' is focussing on roping in a major cast. So far, it was reported that Ali Asgar, Sugandha Mishra, Dr Sanket Bhosle and Sudesh Lahri will be seen on Krushna Abhishek's 'The Drama Company'. Besides the media reports also suggested that Sunil Grover aka Dr Mashoor Gulati of 'The Kapil Sharma Show' will also be seen making guest appearances on the show. And now if the media reports are to be believed, the makers of 'The Drama Company' have now roped in a renowned veteran Bollywood actor for the show. We are talking about Mithun Chakraborty. According to a report published in Times Of India, Mithun Chakbraborty will be a part of 'The Drama Company' wherein he won't be judging the show but will be part of the acts. "Mithun will be the owner of the Comedy theatre who will hire Krushna Abhishek, Ali Asgar, Sudesh Lahiri, Sugandha Mishra and Sanket Bhosle for his company. He will hire them with a promise of producing a film for them one day. The show will be comedy of errors as none of the members will get along with each other and this will lead to situational comedy. Mithunda's will also be seen performing with the rest of the cast and will not be merely used as a judge to sit and laugh, since even he has a great comic sense. His character will be shown larger than life. We will not be cracking silly jokes, instead the conflicts between the theatre actors and situations will lead to comedy," a source reportedly told TOI. Interestingly, this is the second show Mithunda will be a part of. He was earlier seen on dance-based reality show 'Dance India Dance' as a grandmaster for several years. Well, if the reports turned out to be true, 'The Drama Company might turn out to be a tough competition for TKSS. 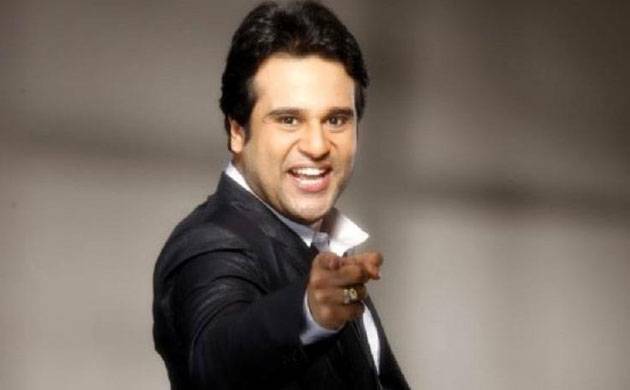 According to the media reports, Krushna Abhishek's new show is expected to go on air in mid July.